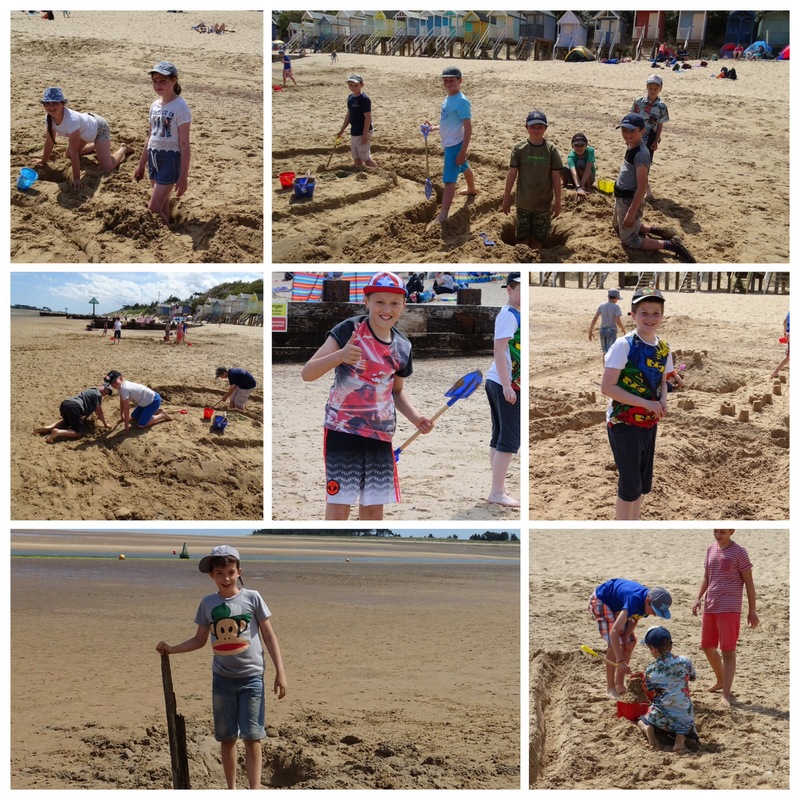 Year 6 have had a brilliant day at Wells Beach. 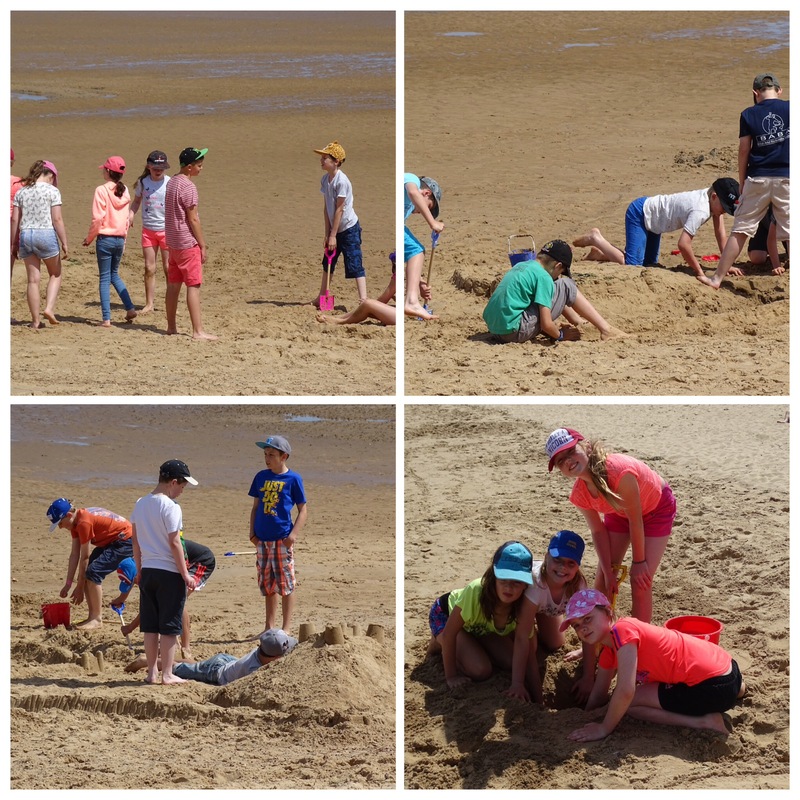 They have played constantly and it was a wrench to leave the beach as they still playing! 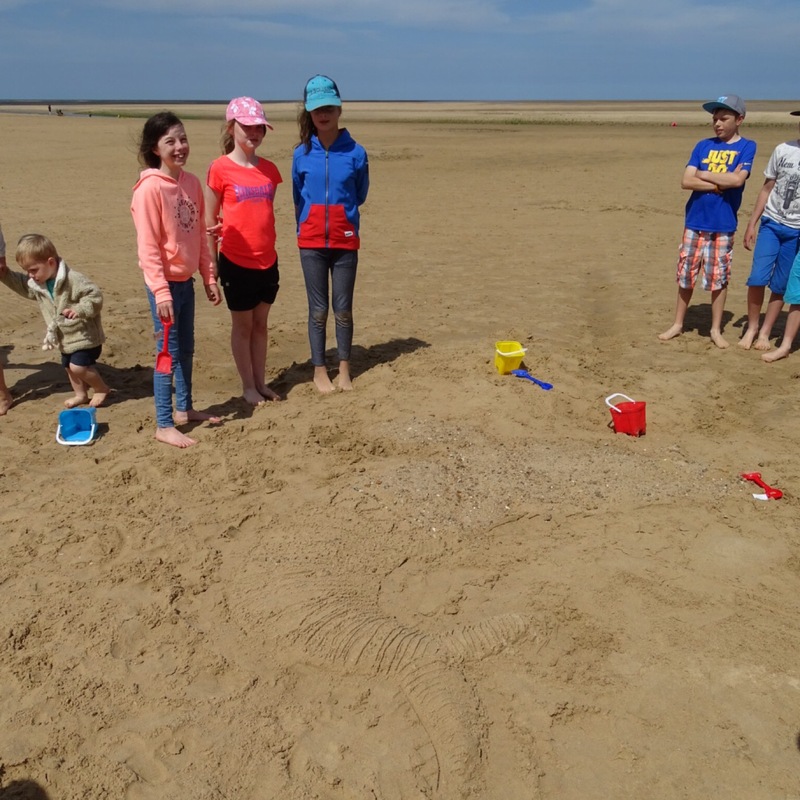 We were looked after by the Wells Beach Cafe, they made the children lovely sandcastle bucket packed lunches and also gave everyone a spade each. We finished the day with a very delicious ice-cream. 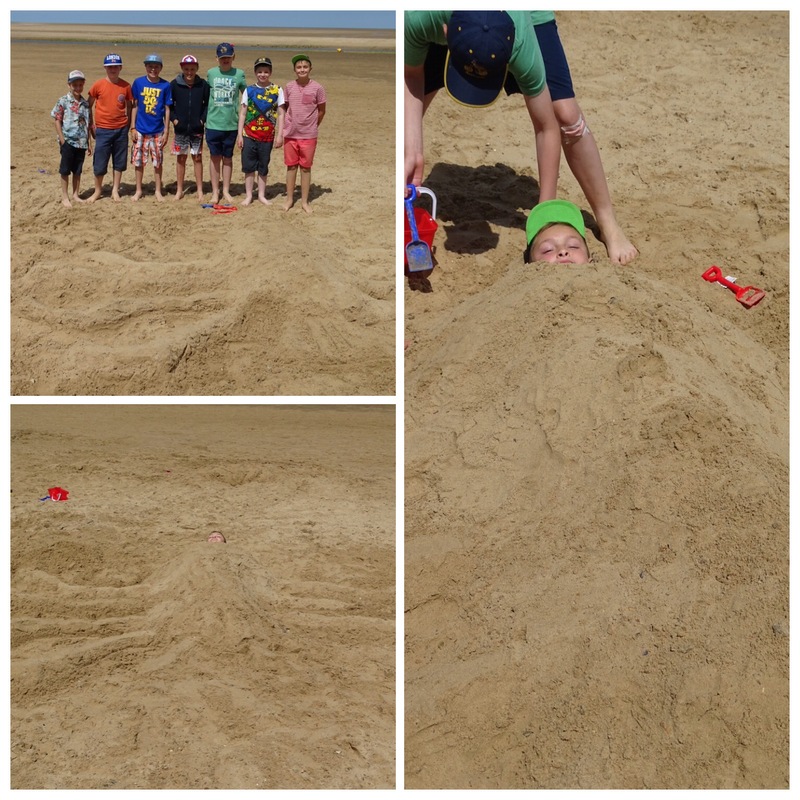 In the afternoon we had a sandcastle competition, this year the theme was to make a mythical sea creature. The results were amazing. 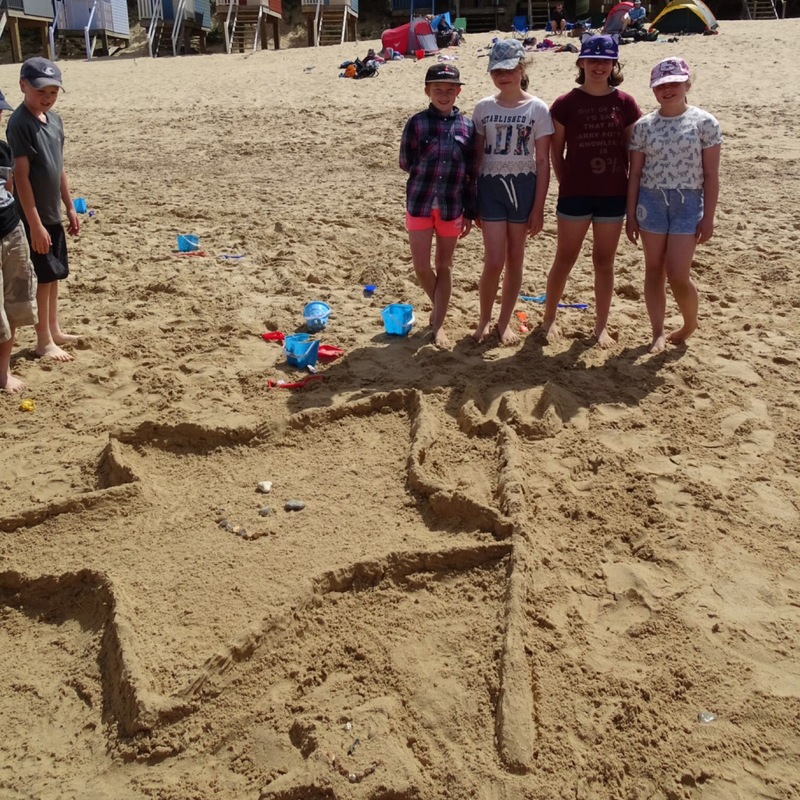 We asked Isabelle (aged 3) on holiday from , to judge the competition. She looked very carefully at each one with her mummy and decided that she liked the spade one. 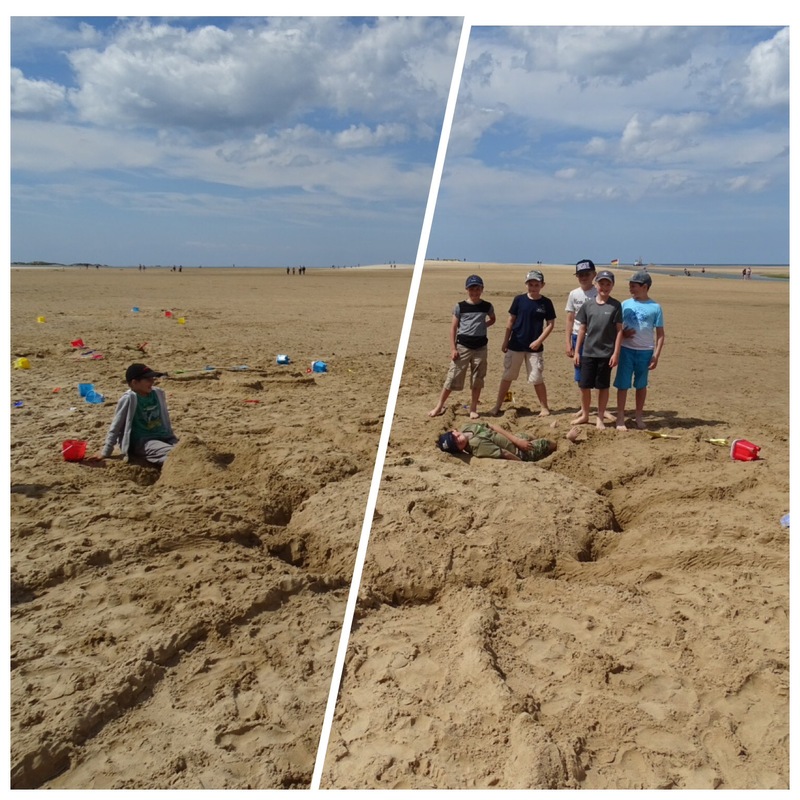 It had lots of different natural materials in it. The photo doesn’t do it justice. Isabelle particularly liked the seaweed used for the hair, mouth and necklace. 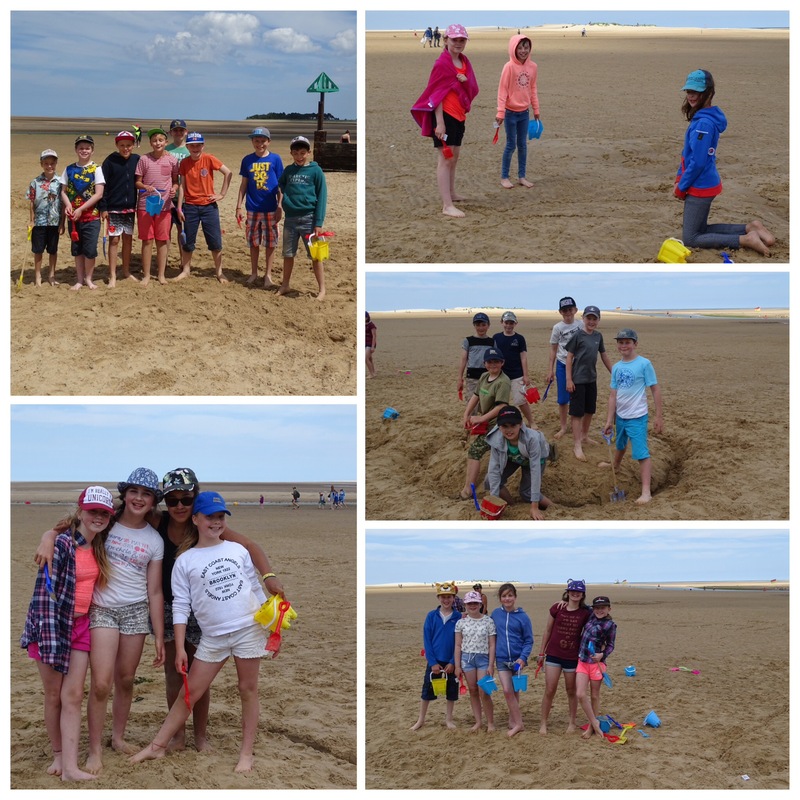 Well done Year 6, a great day out! Thank You to all staff involved, Teddy has had a great day. Teddy was great, he joined in with everyone. 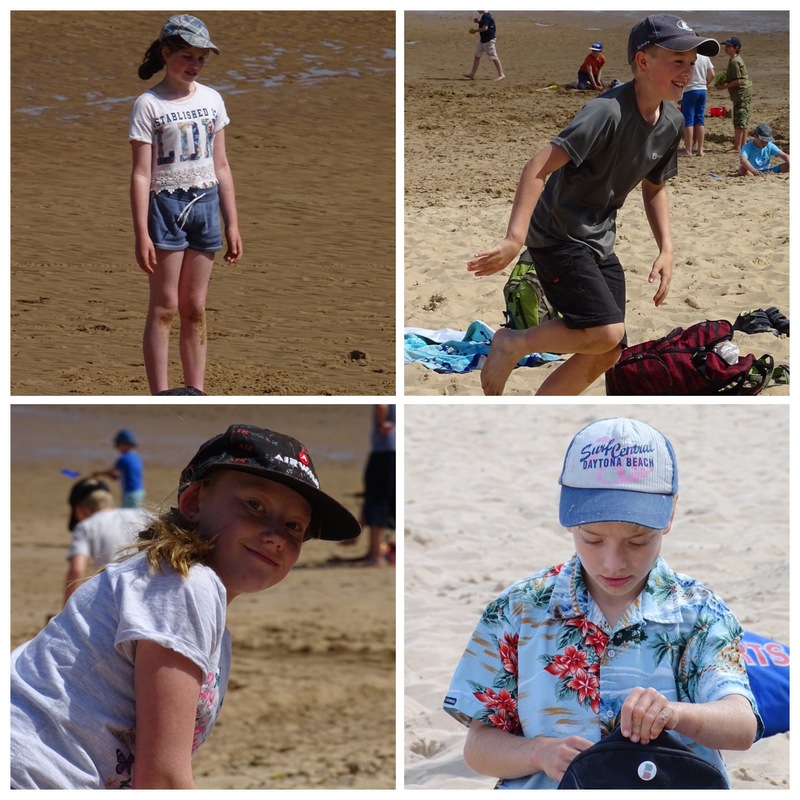 A lovely day to remember!! 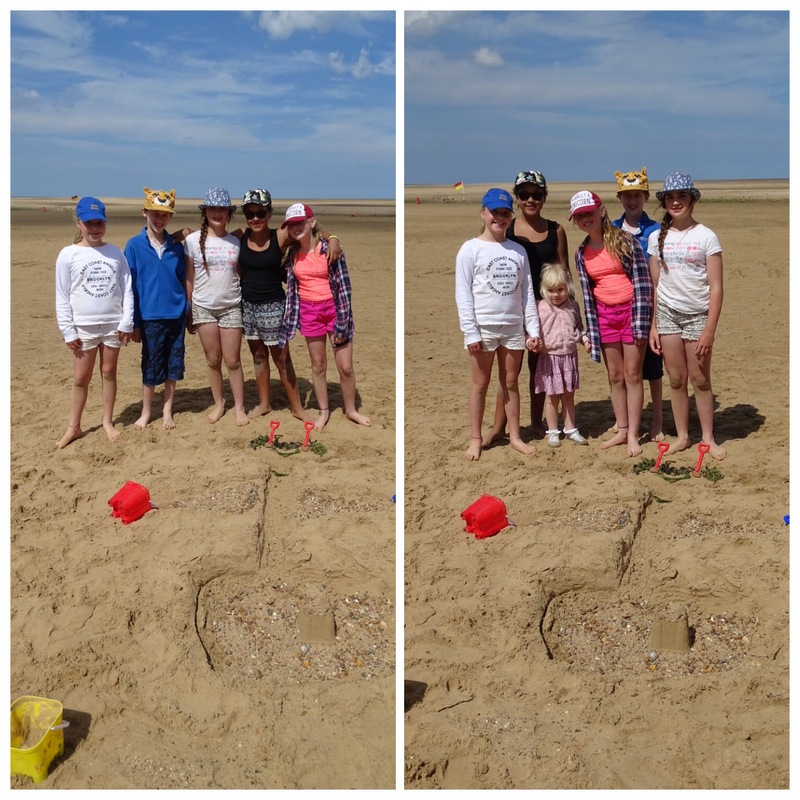 Thank You everybody who organised the trip and came with us! You are most welcome James. 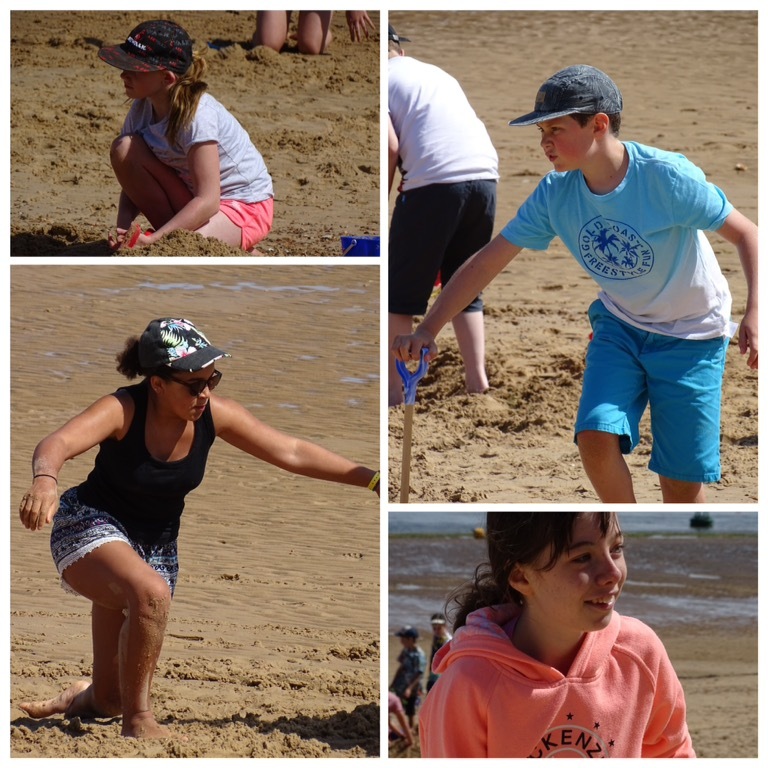 Thank you to all the staff for giving the children such a lovely day out. James is shattered! A quiet day for us tomorrow, perhaps? 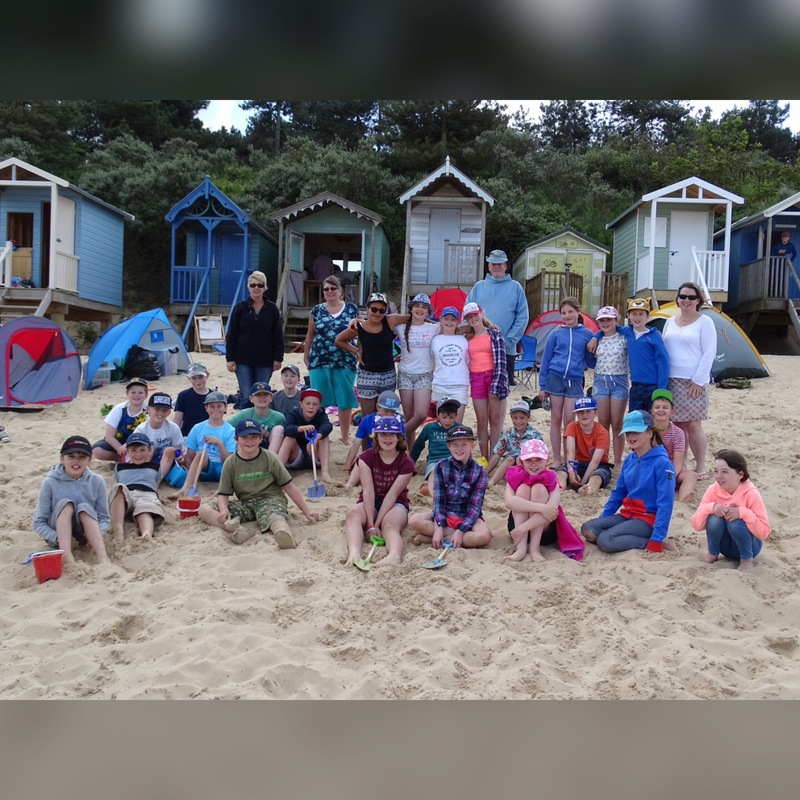 Thank you for taking us Mrs B! I really enjoyed the day! That’s good, so did I. It’s one of the best things about being in year 6, as a pupil and a teacher!